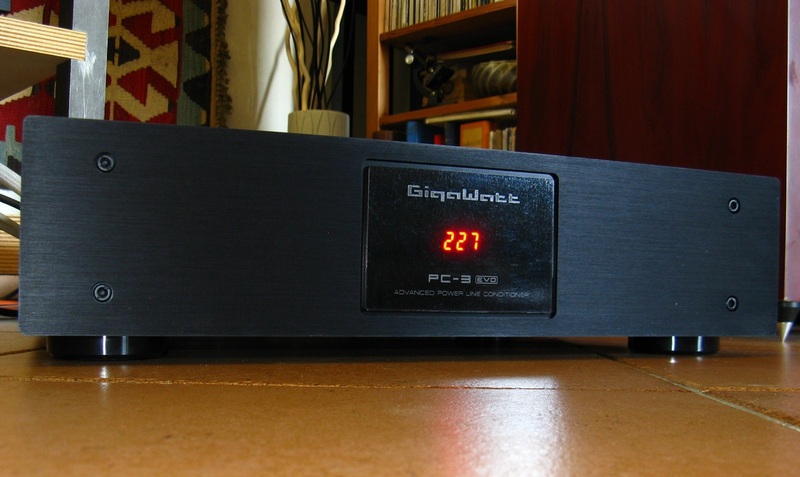 The devices that improve the quality of the power that is delivered to our audio systems are becoming more and more popular in the hi-end market. They stabilize and filter the electrical power coming from the wall outlet. There are several manufacturer brands, covering all types and prices; Gigawatt is one of them, most recently introduced in the Italian market where, however, thanks to a great job by the distributor, has drawn the attention of many buyers. Gigawatt is a Polish company specializing in the production of power cables, power strips and power filters, the category to which belongs the device under test. I suggest to follow all the manufacturer’s instructions in the complete instruction manual tha tcomes with the device, to avoid incorrect connections i.e. 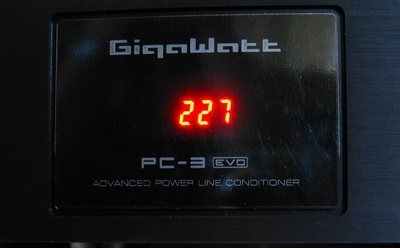 plugging digital equipment in analogue-dedicate socket; in this case the characteristics of the sound are clearly changed and do not always go in the right direction. 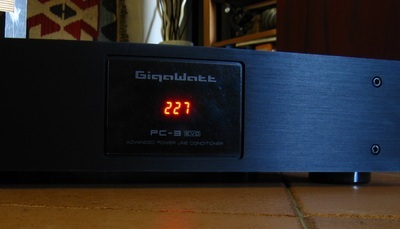 The system in which the Gigawatt was connected is the following: Bauer Audio DPS2 turntable, Mørch DP6 tonearm and Lyra Kleos cartridge; phono preamplifier American Hybrid Technology Reference-P Non Reference (although it was the top model); Lavardin C62 preamplifier; amplifier Wyred4Sound SX (and others passed through my house in the meantime); speaker systems Audio Note AN E-Spx and Davis Acoustics Monitor 1; cables are the usual that I always quote. What about this power filter? As I had occasion to say to the Italian importer, it is unlikely that a number of components that are placed between the wall outlet and the audio devices do not impose their voice. 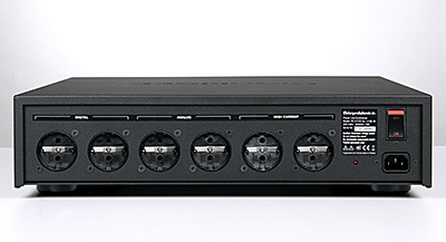 In the case of the PC3 Evo you hear clearly a change in the sound; but it is immediatly obvious that the system becomes more quiet, so that a slight audible hum from the horns of the Davis Monitor 1, staying just ahead of the cabinet, has disappeared thanks to the PC3 Evo. In other words, how the Gigawatt PC3 Evo changes the sound? In my system, it worked in the right direction, producing a "more human" sound, approaching it to the music as it is perceived in a theater. So, no dynamic compression (indeed, since the equipment becomes very quiet, you might hear some very weak signals that, in other occasions, are hidden by the noise), no major interventions that alter the signal, but just some minor modifications to the frequency response, which leads to lighten a bit the medium-low at the crossing with the mid, but leaves intact all what is between the deep bass and the medium-low. The top range is of excellent quality, although in its extreme part is certainly less present; while exalted a little the mid-high range, sounding as a modern concert hall, with audience around us. An interesting result that has not made the music less pleasant, but that, with certain types of music (typically music where voices are contained in large symphonic masses, the groups that include small strings, woodwind and brass) has made it even more enjoyable (for the eventual buyer would recommend you use the CD/SACD by Stile Antico "Puer natus est", makes it much easier to compare, because the recording quality is absolute - and also the artistic side turns to the absolute). 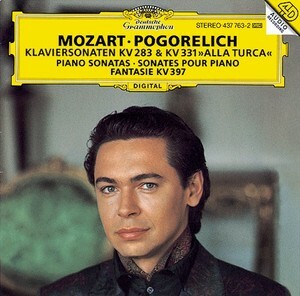 As for the ability to leave in a proper light also the ambient noises, serves as an example listening to Mozart played by Ivo Pogorelic on DGG (photo below). Who knows that record knows that one can perceive very well the noises of the piano stool, depending on the movements of Pogorelic on it, or the breath of the same Pogorelic; well, in a late evening listening, volume was not particularly high, those little noises have become more distinguishable and have given a minimum of humanity at the recording. In brief, the addition of this filter (which I know has already had good market success) will not ruin the sound of your system and if anything can turn it more enjoyable. The Italian MSRP €3,240.00 (3,540.00 with the most prestigious cable, which is what I've tried it). 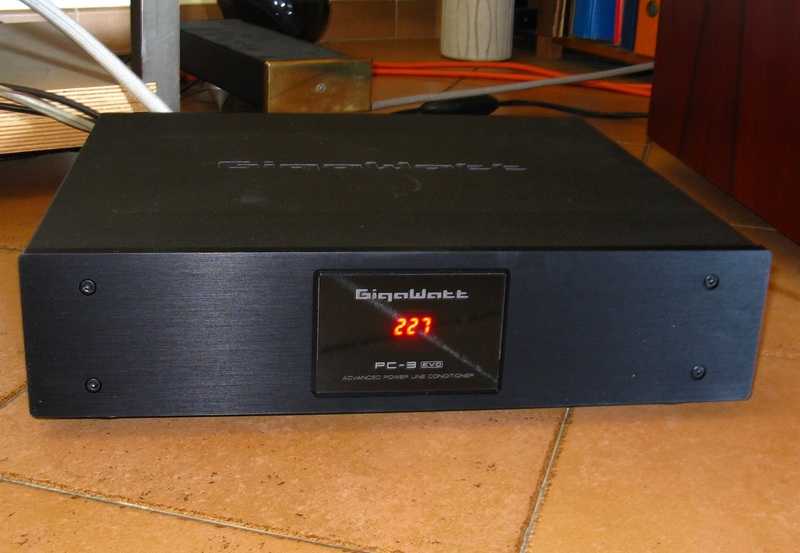 Is not low, but, apart from the excellent qualiy and the quantity of material present in the device, this type of "accessory" is usually coupled to hi-level installations; in a system like mine, it is almost the price of my phono cartridge, so it would make sense. Test it in your system, if you have the chance.